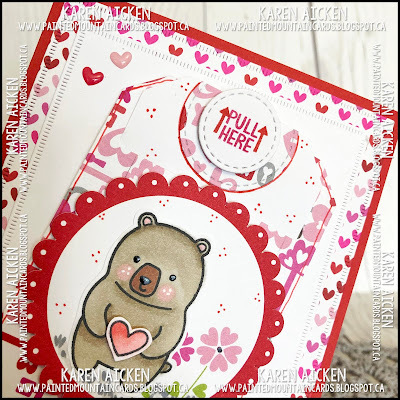 Today's share is a Valentine Tag Slider Card I made using Lynda Kanase's "Tag Pocket with Phrases" stamp and die set. 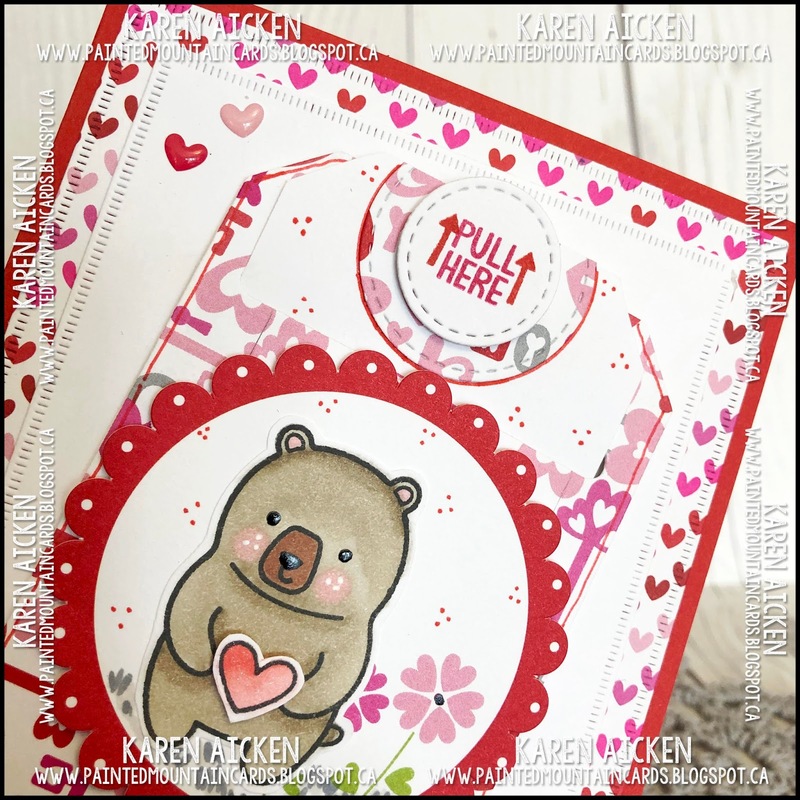 The slot comes with the tag die, but is separate so you can use the tag die without the slot, or move the slot up or down the height of the tag as you wish. Here I added the slot towards the top, leaving room for the tag topper which was crated with stitched circle dies. 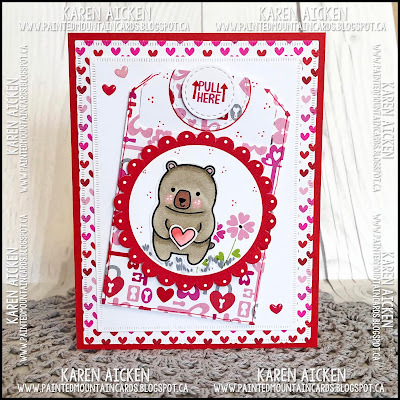 I added a sweet scalloped circle and stamped bear to decorate the tag, and layered everything with more patterned paper and white card stock to my red card base. 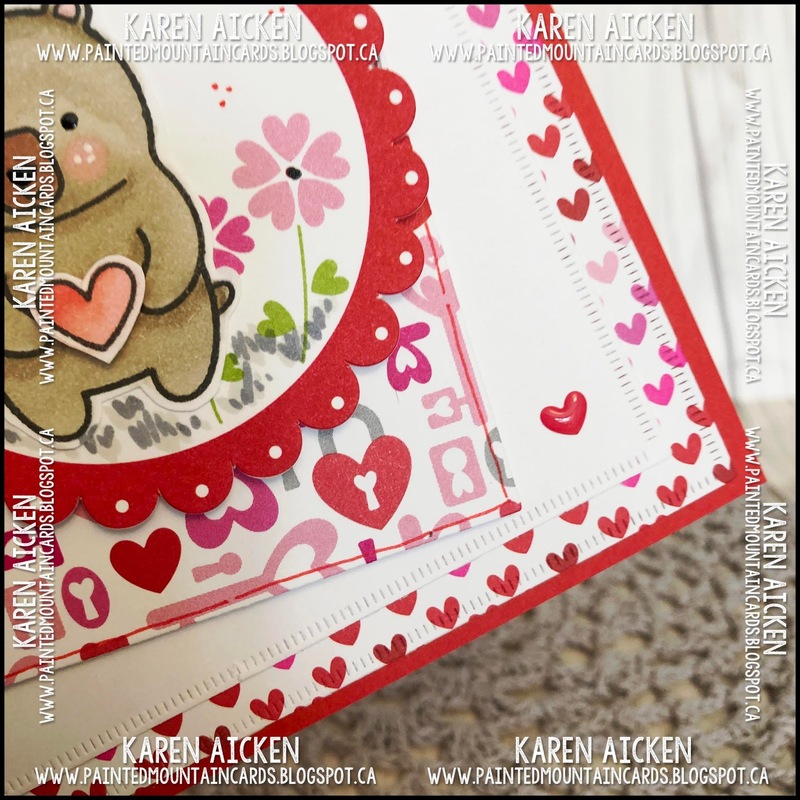 Love these little Doodlebug enamel hearts! The slider piece was cut from white card stock and I added little tabs at the bottom back so it doesn't pull right out of the slot when the recipient slides the tag up to reveal the message. I added the red tri-dots with a fine point marker. 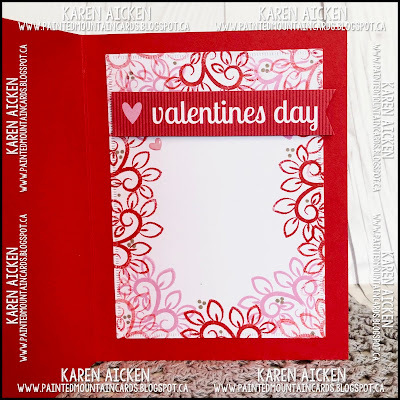 Inside I cut a smaller white panel and stamped all around the edges with one of the included stamps in the Tag With Phrases stamp and die set. Then I added a paper sentiment fussy cut from one of the patterned papers. So sweet! 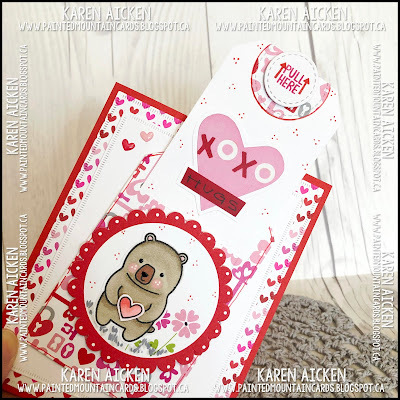 Love how you used the pocket tag on the front of a card! Also love how you stamped the swirls in pink and red! What a great idea! I love interactive cards and this one is so cute!! !